Do you fret when you bring your electrical device to a foreign country and find that you can't connect it to the wall socket? There are various wall socket adopted by various countries. Lee Chiu Shan saw the need for a universal wall adapter to work with various wall socket. 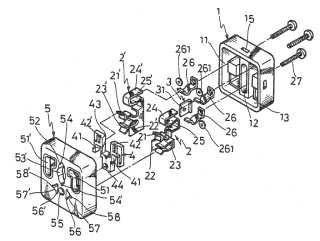 He invented a universal socket and file the patents in 35 countries around the world. 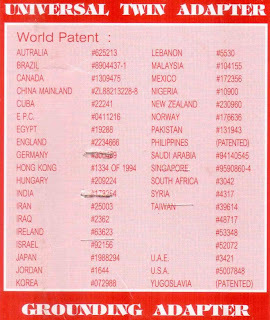 The patents are marked in the product packaging.